Lake Zurich Dentist | Alma Lombardo, DDS | Invisalign Provider " "
Lake Zurich Dentist, Dr. Alma Lombardo, became a dentist to improve the health, appearance and confidence of her patients and to help eliminate the perception that dentistry has to be uncomfortable. She completed her Bachelor of Science in Biology at Loyola University Chicago and went on to earn her Doctorate in Dental Surgery and Bachelor of Science degree in Dentistry from the prestigious University of Illinois Chicago College of Dentistry. In dental school, Dr. Lombardo distinguished herself by receiving the Dr. Jerry F. Balaty award for Operative Excellence. Dr. Lombardo believes strongly in continuing education and has completed extensive training in the areas of cosmetic dentistry, endodontics, oral surgery, sleep apnea, snoring and orthodontic procedures. She is certified in Invisalign®and Lumineers. The doctor is CPR and First Aid certified as well. Dr. Lombardo is an active member of the American Dental Association, Illinois State Dental Society, and the Chicago Dental Society. Dr. Lombardo has been practicing dentistry for more than ten years in the Chicagoland area. She opened Diamond Dental Service in 2013. 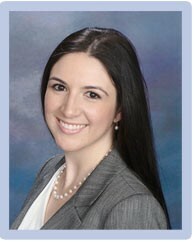 Dr. Lombardo lives in the Lake Zurich community. She enjoys spending her spare time with her husband and two sons.